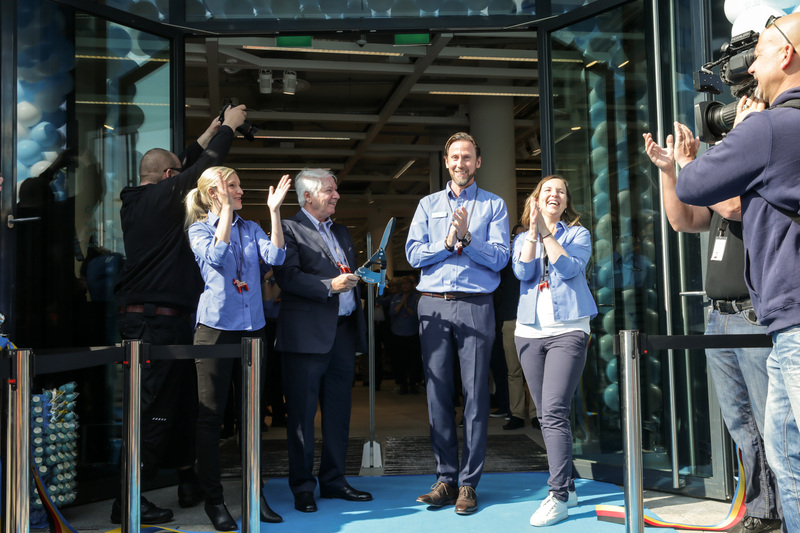 On Thursday, Clas Ohlson opened up the doors to their store on Jungfernstieg in Hamburg. The store is Clas Ohlson’s very first on the German market. “Germany is a market that we have been interested in and glanced at for many years. We see a great potential in the German market and we believe that our concept will fit the German consumer very well,” says Klas Balkow, President and CEO at Clas Ohlson. Various kinds of activities took place for media and other guests earlier this week, but on Thursday the doors finally opened to the German consumers this morning and customers poured in. “It is a big day for us today and we are overwhelmed by the interest for the opening. To see the massive amount of customers when we opened the doors to the store is an experience that I will never forget”, says Klas Balkow. Clas Ohlson’s store on Jungfernstieg in Hamburg has a retail space of approximately 1,800 square meters. The catchment area of the store is approximately 680,000 inhabitants. Two more stores are scheduled to open in Hamburg this autumn, in the city districts of Altona and Alstertal. In financial year 2016/17, Clas Ohlson plans to establish 10-15 new stores. The number of future stores contracted amounts to 10. Clas Ohlson has e-commerce in four out of six markets, and a total of 206 stores, of which 85 in Sweden, 72 in Norway, 34 in Finland, 13 in the UK, one in Germany and one franchise store in Dubai.